Air Fryer Vs. Oven Comparing: Which is to choose? 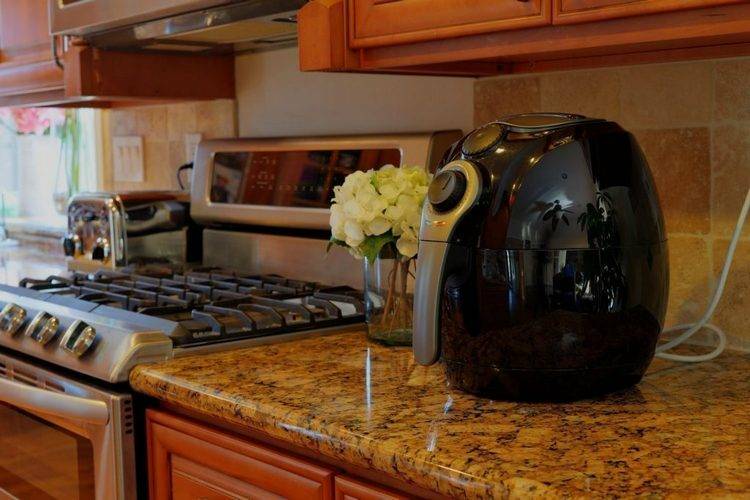 Home » Guides » Air Fryer VS. Oven: Which One Is The Best? The Air Fryer and the oven pretty much similar and they offer the same benefits in terms of versatility. However, an oven is something that most people already have in their homes and they art also standard when buying or renting a new home. This makes them the obvious choice to use and enables you to save some money. Nevertheless, the Air Fryer is much more modern and it is also something that many people are wondering about. One of the common comparisons we see is many people comparing the Air Fryer to the oven and wondering which one is the best for cooking food. In this article, we have looked at a couple of the main differences between the Air Fryer and the oven. Since most people know how each of these two appliances works, we have decided to look at the main differences that you should keep in mind. This should help you to decide whether to make an investment and add the Air Fryer to your appliance set for cooking. Here are a couple of the differences that you can expect to see. While the oven can cook larger batches of food, the Air Fryer is much faster at cooking food. It does not need to be preheated and will also reach the right temperature much sooner than your standard oven. 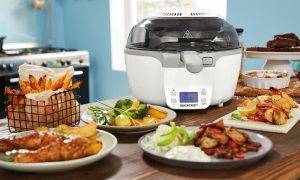 Depending on your own preferences, the Air Fryer will take around 15 minutes to fully cook most meals and this is something that the working wife will love. Traveling with your Air Fryer is possible, but taking your massive oven along is not always the easiest thing to do. We do understand that smaller ovens are available, but compared to the Air Fryer, they take up much more space. The Air Fryer is also a little more durable to bumps and bruises and this means that it won’t break as easily when you take the scenic route. If you are only cooking for a couple of people, the Air Fryer will be a handy appliance, but when you are cooking something as large as a leg of lamb, the oven will be much better suited. It also enables you to add all of your veggies to the mix and this makes cooking a lot faster. Your average Sunday afternoon dinner will be much easier and faster to cook in the oven than breaking it down and using the Air Fryer. Cleaning your appliances after cooking is always a real pain and most people don’t have someone to assist them with the cleaning process. The oven might be easier to use, but cleaning it will take some time and you can simply move it as you would like to. This is where the Air Fryer does have the edge. It can be taken apart and with the additional tray being added, most of the cleaning works will taking care of this tray. As we have mentioned, most people reading this will already have an oven in their homes. However, if you don’t yet have an oven in your home, the Air Fryer might be the more affordable option to consider. It can be used for cooking most of your foods to help you save up and buy a decent state of the art oven that will last you longer. The oven might have a couple of intricate features that you won’t know how to use, but in general, it is really easy to use an oven for cooking most of your meals. Similarly, the Air Fryer is also ideal for cooking meals without too many hassles. The instruction manuals are straightforward, making the Air Fryer a simple and easy option to use. Lastly, you might be wondering about the health aspect of the Air Fryer and the oven. The oven also offers versatility and you can choose how to cook your meals. 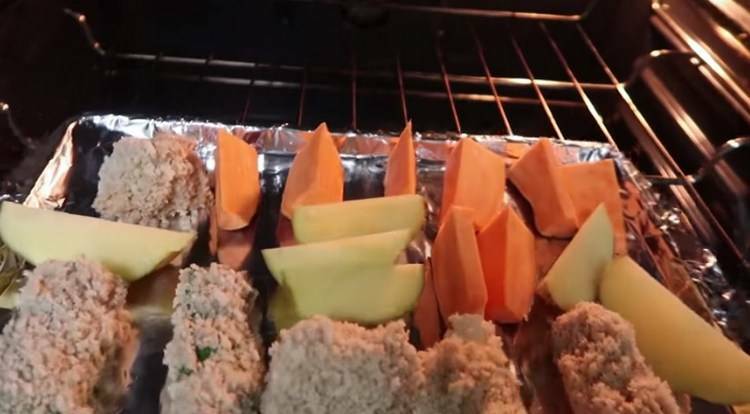 Most oven bake fries are really healthy and designed for the oven. On the other hand, we have the Air Fryer and this product is designed for reducing the amount of oil you use on your meals. If we are looking at that health aspect, it should come as no surprise that they both will rank high on the list of healthy cooking appliances. After using the Air Fryer, I have taken somewhat of a liking to it and this is why I love using the Air Fryer. However, the oven is just as simple and effective when it comes to cooking your meals. You should decide on if you need portability and how fast you would like your meals to be done. 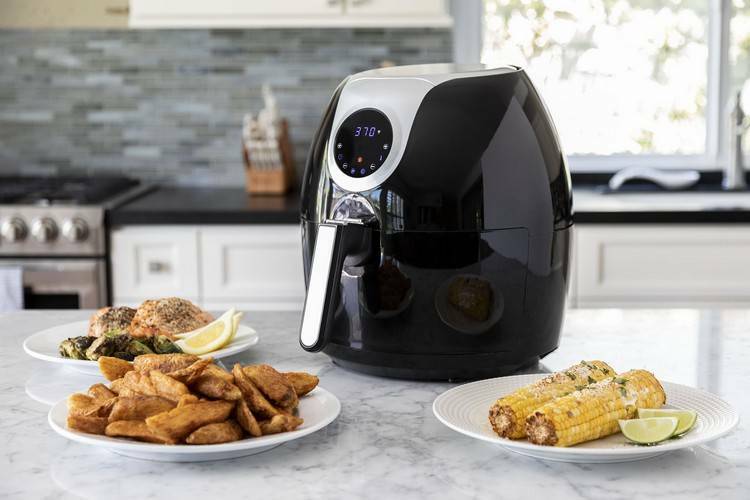 If you are looking for speed and efficiency, the Air Fryer will be your best friend. The Air Fryer and oven are both excellent options and they can be used by virtually anyone looking to improve the quality of their food and their overall health. 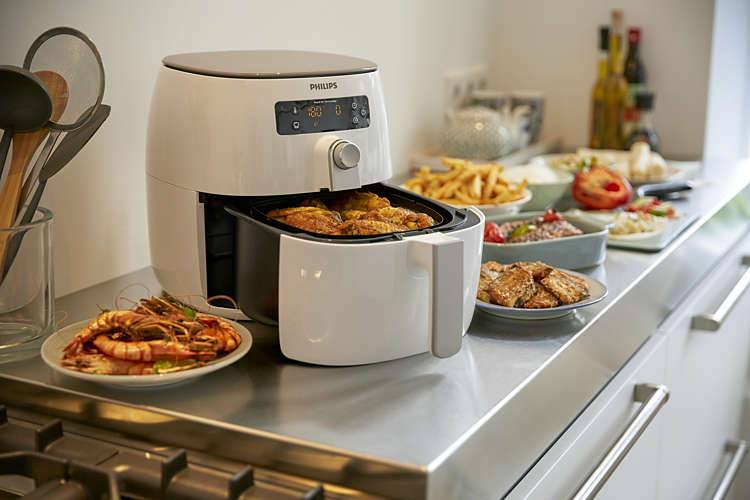 We would definitely recommend the Air Fryer as it is a little more versatile and portable to be used on the go. We would like to thank you for reading this article and encourage you to share some of your thoughts. We would love to see which of these appliances you feel are the best and which ones you have been using most of the time.